To be a samsaran is to forge a new destiny from the sum of your experiences. Born endlessly into new lives, a samsaran reincarnates time and again until achieving enlightenment. They remember the pain and joy of their experiences only through their dreams, recalling random shards of lifetimes long gone. Be Heroic with This Advanced Race Today! I added it to my Wish List. 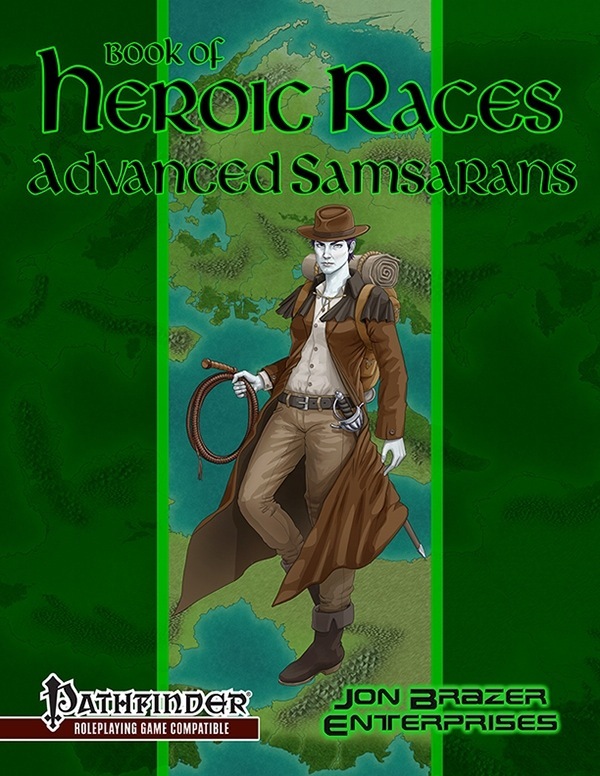 Since Samsarans are one of my favorite spellcaster races, this one is definitely intriguing me. We started this week of previews off with the Samsaran Racial Traits. These are the basic racial you need to play a samsaran right away. We hope you enjoy the race. 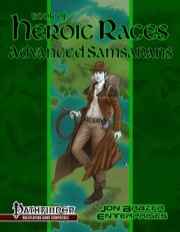 Yesterday we showed off one of the archetypes in Book of Heroic Races: Advanced Samsarans. Be sure to check out the Timeless Warden, a samsaran that gives up reincarnating again into a new life and instead lives on to defend the wilderness.